Two years ago Rick Astley surprised the world (and himself) with the release of his smash hit album, 50. The record soared to the top of the album charts, sold over 300,000 copies and was one of the biggest-selling releases of 2016. Now Rick has released a follow-up to the hit record. Beautiful Life features 12 new tracks written, produced and played by Astley himself. 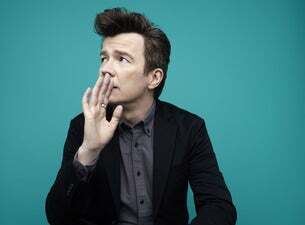 In a career spanning over 30 years, Rick Astley has sold over 40 million records worldwide. 50 has over 10 million UK streams, 20 million worldwide while his classic Never Gonna Give You Up has had over 140 million streams on Spotify alone.